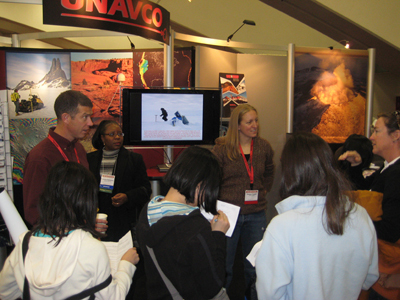 Join the UNAVCO Community in San Francisco, CA at the American Geophysical Union (AGU) Fall Meeting in December, 2008. New this year, UNAVCO will offer presentations at the UNAVCO Booth in the Exhibition Hall at the Moscone Center. A list of presentations and times can be found below. The booth presentations are informal and will allow time for Q&A. Attending these presentations is a great way to learn about UNAVCO techniques, tools, and programs, and provide an opportunity for you to interact directly with UNAVCO staff members. A list of talks and posters related to UNAVCO and EarthScope, including USArray, SAFOD, PBO, and Education and Outreach can be found here. We recommend AGU's online Personal Meeting Itinerary to create your own schedule for the meeting. Please join us at the AGU Geodesy Section Reception at the San Francisco Marriott on Tuesday, December 16 at 6:30pm in Salon B2. The reception will be followed by the UNAVCO Business Meeting. Figure 1 - Visit the UNAVCO Booth at AGU to learn about how UNAVCO can support your science research. 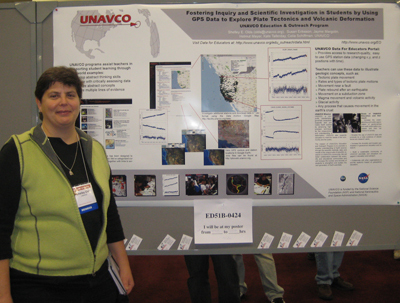 Figure 2 - Take advantage of the numerous talks and poster sessions given by UNAVCO Staff Members at AGU. For a list of these events click here.